I’m sure you’ve all played the game where you try to find shapes in clouds. Or maybe you revel in the moment when you spot a smiley face in a coffee cup. Well, I’m a sucker for such games. Especially when it comes to flowers that look like things. I love to take a little time out to gaze at flora and fauna and find comparisons with other weird and wonderful stuff. Open your eyes and open your mind and you’ll start spotting celebs, shower heads and cartoon characters in your weekly Freddie’s Flowers deliveries and beyond. They’re beautiful for sure. They remind me of so many things. 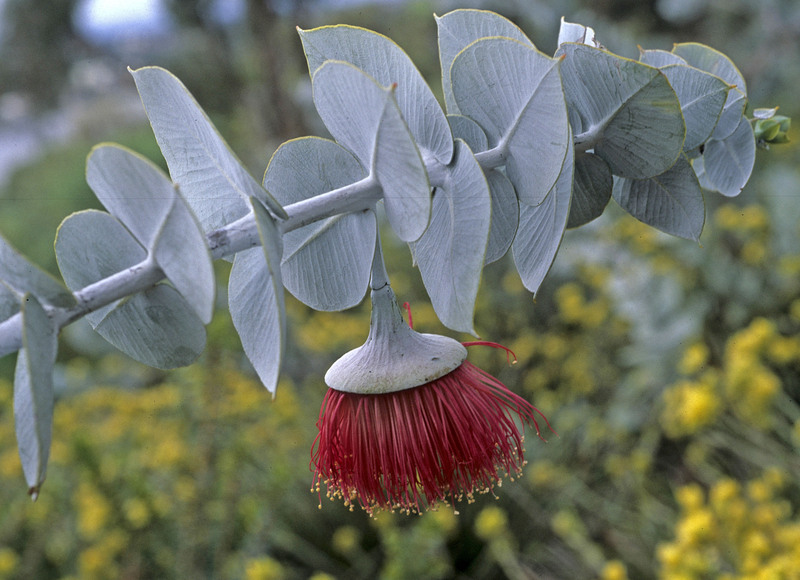 I’ve mentioned their likeness to fiberoptic lights and red sea anemones before when eucalyptus was our flower of the week. But there’s more! How about this shower head? See it? Surely! This beautiful variety of eucalyptus graced us with its presence in our Freddie’s Flowers box this week. …and the Grinch has long long green fingers! I love this mutli-tonal thistle. Is it purple? Is it blue? Is it green? I use it in my Freddie’s Flowers boxes to bring a big dose of texture to the arrangement. They may be pretty but they’re very prickly too! I think they look just like Victoria Beckham’s fascinator at the royal wedding. Long Shot? Nah! We love roselilies. Unlike your usual lily they don’t trigger hayfever and their lack of stamen means that they’re not going to stain your clothes, carpets, or tablecloths. Or cats for that matter. This variety was actually grown just for Freddie’s Flowers so it was a first in flower deliveries. Cool? Very cool. And it’s comparison? An octopus of course! I think they both have a cool and strange beauty about them. A flower lover’s favourite kind of sweet treat, the lollipop allium. Maggie Small sang a big big song all about a certain lollipop back in the 60’s. I’m sure she would have seen the comparison too. Totally bizarre flowers but all the better for it! We love having the unconventional in our Freddie’s Flowers boxes and these pins are no exception. The question is: do they make your eyes feel as good as your head does when you’re getting massaged by one of these?? I popped eremuri in one of our boxes recently along with sunflowers, phlox and bupleurum. They absolutely stole the show! The way the flowers twist and tower over any arrangement made me think of this architectural feat: The F&F skyscraper, Panama City. More commonly known as Star of Bethlehem, Orni’s have made a star appearance in the world of Freddie’s Flowers just the other day. But I’ve found the ultimate comparison in the little Toy Story aliens that swarm in the their hundreds! Okay I know we don’t deliver these but you see them engulfing fences all over London. They’re both mechanical and majestic all at the same time. Turn up the turbo! And there you have it! Some remarkably relatable, some tenuous. But that’s the fun of it! If you’re after some really uncanny comparisons, click here to see how the orchid has nailed the art of impersonation. Want to test your eyes and imagination by searching for flowers that look like things in Freddie’s flowers too? Join in the fun for only £24 a pop!